We have been having lots of fun making things fizz, erupt, overflow, and catapult across the driveway. Today we are having fun shooting rockets into the air. It was a bumpy start to our alka-seltzer rocket experiment. 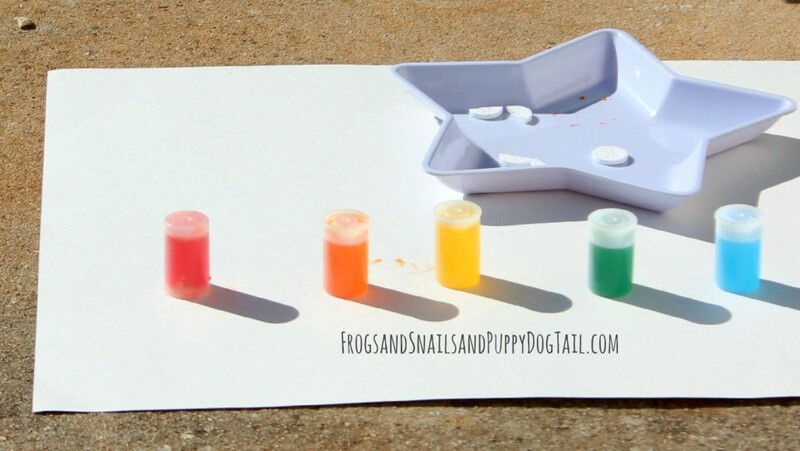 You could call it a project fail or a great way to learn even more from our simple science experiment. 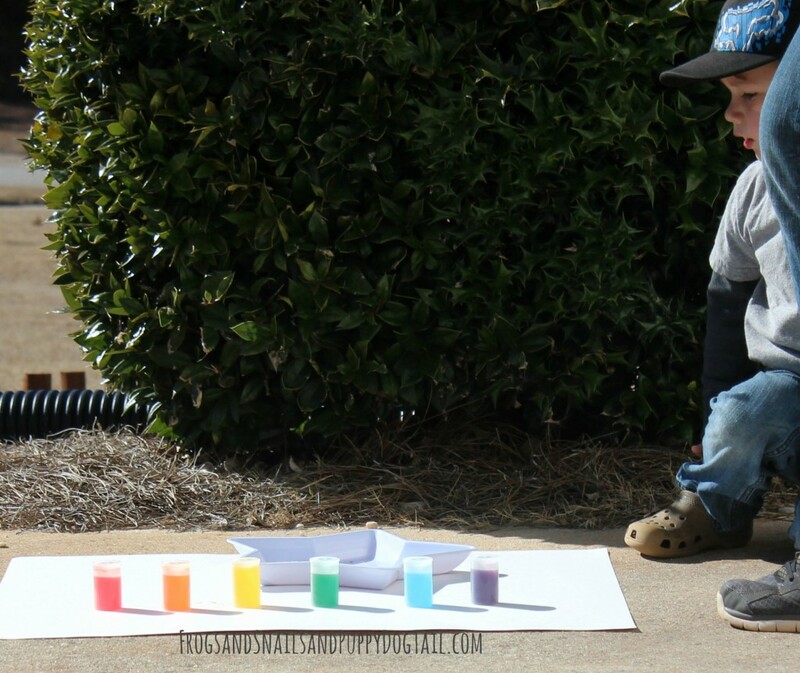 We were determined to find the right formula to make the film canisters shoot high into the air. With a little determination and a few extra tries we got the result we had hoped for the first time. Time for another week of STEM Saturday! See more exciting STEM activities below. Note: before conducting a science experiment for the first time, try it before you set up a pretty photo shoot, lol. 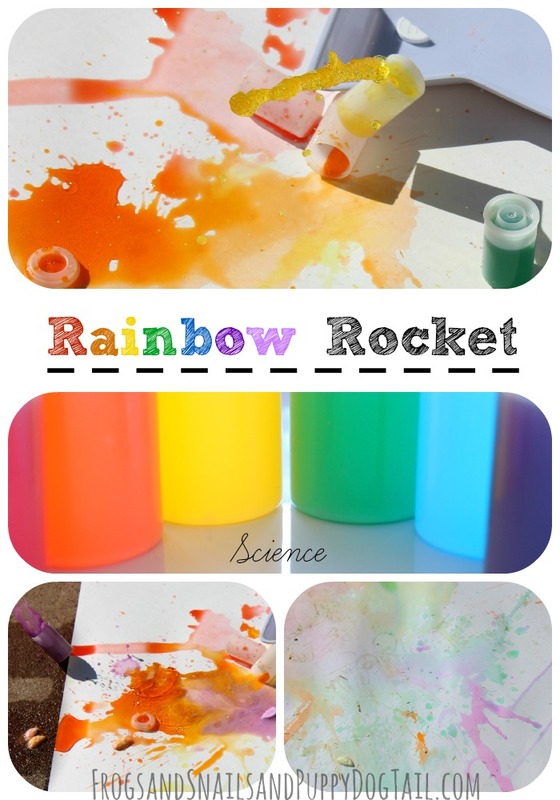 We had trouble to start but after we cleaned up our rainbow rockets we set out to make sure we could do it the right way. We did and have our first FSPDT video to share with you today to prove it, lol. 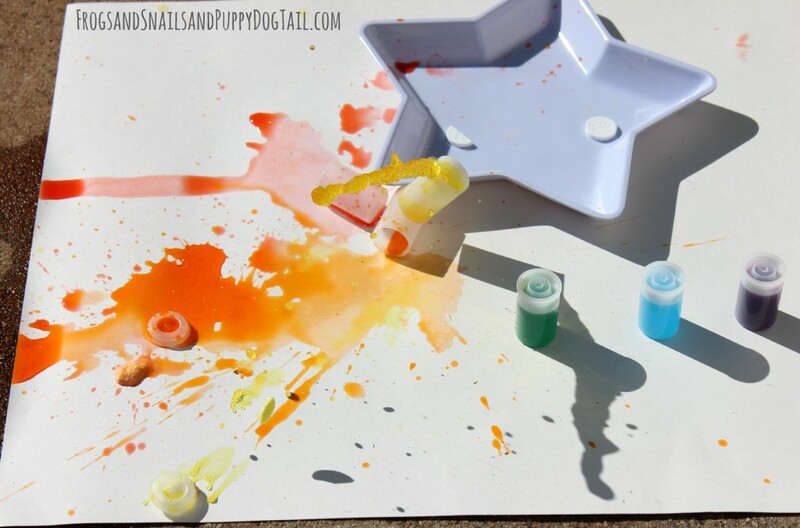 Add food coloring to the bottom of canisters. Fill film canisters half way full of water (this is important). I placed the lids back on them to carry outside. I grabbed several Alka-seltzer and placed them opened on a tray. I placed a piece of poster board down and then placed the experiment supplies on top. Add a fourth of the Alka-seltzer to the canister. Flip the canister over onto the lid. Give it a few seconds. Then be amazed! The alka-seltzer is dissolving causing carbon dioxide to be released. This pressure is building in the canister. Once enough pressure has built up the lid will pop off. This causes the “rocket” to fly in the air. We saw that too much water will not produce enough pressure for a big “blast off”, we also found that 1/4 a tablet is all you need. Adding an entire tablet did not change the height the rocket went. Half a canister of water and a forth of a tablet is the key to a successful rocket experiment with the kids. Have fun with it and come up with your own extensions to explore with the kids. FIRST ever video to share on FSPDT. Excuses the side way start to the cell phone video I took, lol. Need to work on my video skills.